Passion.com is somewhat of a unique entry in the world of online dating sites. With the layout feeling a bit like a social networking site it gives you a slightly different experience while exploring its features. While Passion.com offers members some unique features to use, it’s missing some more basic stuff and leaves you feeling unsatisfied and wanting more. Signing up for the free membership was quick and easy, but I was unable to even view another members profile page unless I upgraded my membership. My own profile page looked pretty bare with very little information being provided outside of the basic generic questions about myself and a brief description. 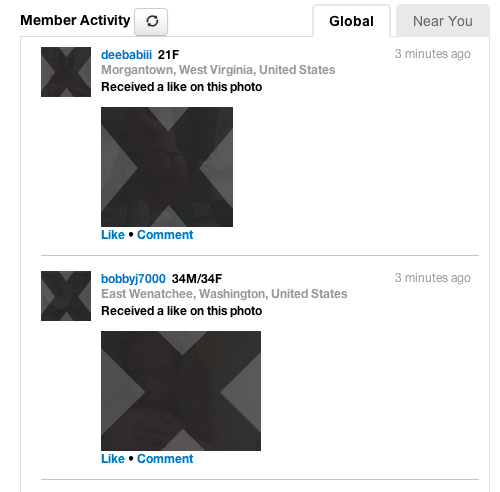 The most heavily featured portion of the home page is the “Member Activity” section which resembles a twitter feed. To me it seems to be useless information about users liking other members profile pictures and not much of anything else. I suppose once you start using the site regularly you would gain some sort of friend list and you could be updated about there activity on the site. Although I feel jealousies would form easily if you’re interested in someone on the site and your constantly seeing other users interacting with them. The note provided some info about how they determine how large their member base is and this little tid bit at the end. Basically what their saying is that the images and profiles they use to advertise and entice you to sign up for the site shouldn’t actually be used in your decision to sign up. This to me makes no sense and from what I understand your simply being told that what you see is not what you get and in the universe of online dating this is something that should be avoided at all costs. - See which members are online and find out what members are close to you right in that moment. While I do believe you could sign up for this site and find someone to casually date or hook up with, you might need to go in with low expectations. All the profiles seem to be either from women I might be interested in when I’m retired or a ridiculously attractive woman who will probably start negotiating price once you meet her in person. With their admission of using false profiles to entice the user to buy an upgraded membership and then recommending not to base your decision off the information they provide you while buying, I might just stay clear of the site and opt for something a little more straight forward.